As many of you know I love celebrities. To the point of border line concern for several of my friends. I'm not quite at the paparazzi level of infatuation but I have little to no shame when famous people are nearby. "Self, you should bestow you infinite wisdom on how one should act around the rich and famous." 1. Identify an area celebrities normally are. Listen to the radio, listen to the teenagers that are your neighbors, read the world wide web. 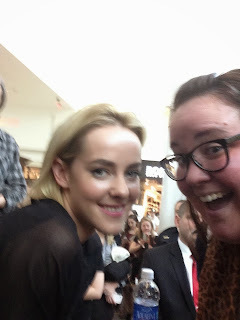 For instance, I heard that a few cast members from "Hunger Games: Catching Fire" were going to be at Cherry Hill Mall. 2. Make sure the event is worth your time. You don't want to rub elbs with just any scrub. 3. Know someone. Or know someone who knows someone who can get you VIP access. 4. Be prepared to stand/camp out for hours. If you have to pee, too bad. You're the soon to be proud owner of a UTI. But dammit it will be worth it. 5. Have snacks in your purse. Or murse. Or pocket. 6. Don't be afraid to get buck with a 14 year old self proclaimed superfan, who doesn't know what love is, and tell them to get off the guard rail so that you can also see the cast. 7. Envision what you would say to that famous person so that when you get to them you don't sound like a high pitch voiced idiot. Be thoughtful. Act like you been there before. "That lady over there told us we can't take selfies but do you wanna?" And when he says yes, ask if he wants to strike a glamour shot pose.... twice. 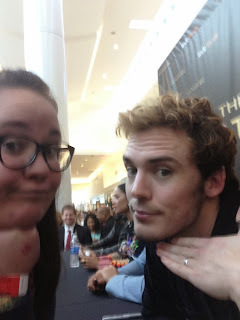 Don't worry about the fact that your face is thisclose to someone who hung out with Peeta and Katniss all day. Don't acknowledge that they smell good. Don't ask Jenna Malone if she got to keep the quilt Susan Sarandon made her in "Step Mom." She will not respond well. Seriously...don't ask about the quilt. She doesn't have it. 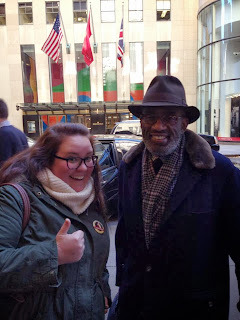 Bonus information: When seeing a famous morning show weatherman, don't yell out. If you tell him that his beard is better than Matt Lauer's he may give you a pity laugh. If he walks by you again, don't giggle and say, "Al, if you wanted another picture with us you could just askkk!" He won't think it's endearing as he's more interested in getting to his daughter's parent teacher conference. Now you are prepared to hob knob with the rich folks y'all. Go out there and stalk....meet somebody. Wow, you are SO cool. I think I would just have a panic attack and blush and have to walk away. 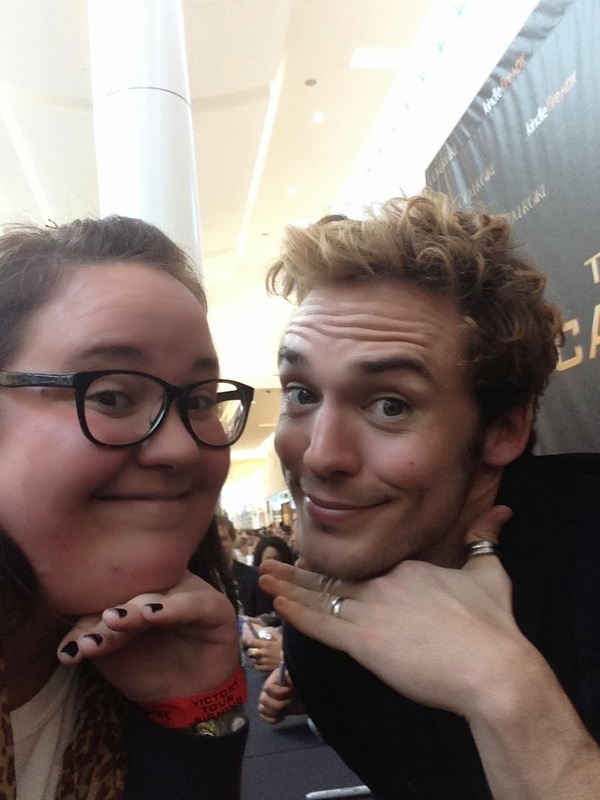 Omg you met Finnick!!!! He is just as adorable as He is in the movie! Maybe it's the glamor shot. Oh my word I want to hear more about Jenna's reaction to the quilt question!!! I second Taylor! I want to hear the quilt drama too! AHHHHHH! You nearly touched faces with FINNICK. I die. Yes, the quilt story. This needs to happen.